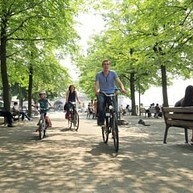 Antwerp, a busy pocket-sized metropolis, has something for everyone. The city is an inspiring source of culture thanks to its impressive architecture and magnificent museums and churches. Fashionistas can explore the stores of Antwerp’s designers, whose stylish creations are revered all over the world. And foodies and people with a passion for life in general will enjoy the warm welcome of Antwerp’s cafés and restaurants. A visit to Antwerp should definitely include the new museum MAS, the Cathedral of Our Lady and the Rubens House. Opening hours: Shops are open Monday-Saturday 10:00 – 18:00. Large department stores stay open longer. Tourist information: Visit Antwerpen has two offices. Both offices are closed on January 1st and December 25th. Antwerp is the city that strongly believes that you can always do things just that little bit differently. Enjoy architectural feats such as the Antwerp Law Courts, the Bourla Theatre and MAS | Museum aan de Stroom. Treat yourself to dishes from all over the world. Explore the shopping streets with the many high-end shops and unique concept stores. Take a stroll along the River Scheldt and gaze at the port from afar. Don’t forget to visit the diamond district. 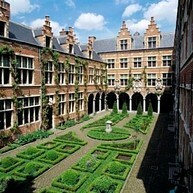 And what about museums like the Rubens House, the Red Star Line Museum and Museum Plantin-Moretus. With world-class collections in a unique setting. Discover why our city is different from other cities. Discover Atypical Antwerp. Romantic at heart, Antwerp unfolds for those travelling at this deliciously slow yet charmingly old-fashioned and enjoyable pace. 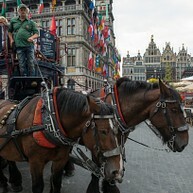 The horses depart under good weather conditions from Grote Markt near the Town Hall. 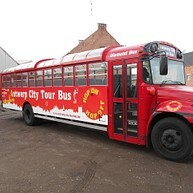 Hop on the Antwerp Diamond double-decker bus and visit Antwerp’s best-known hot spots. It’s a first timers’ ideal introduction to the city. Daily departures from April until November, the other months only in the weekend. 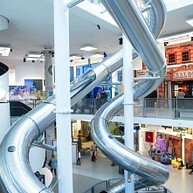 Comics Station is a new indoor park at Antwerp's Central Station. It is based on Belgian comic strip heroes like The Smurfs, Lucky Luke and Spike&Suzy. The park offers a unique experience for the whole family with attractions, installations and interactive components that bring a comic book to life. If you visit one museum in Antwerp make it MAS. The sixty-metre high museum tower has become a new focal point in Antwerp. Here the city and the port meet in every sense of the word. On the roof of MAS you can enjoy a 360° panoramic view of Antwerp. After 169 years of construction the cathedral of Antwerp finally dominated Antwerp’s skyline in 1521 with a height of 123 metres. It was and still is the biggest Gothic building of the Low Countries. The Cathedral is a huge treasury of works of art. Eye-catchers include two masterpieces by Rubens: The Raising of the Cross and The Descent from the Cross. Currently the Cathedral is hosting a splendid exhibition, called Reunion, which showcases altarpieces from the sixteenth and seventeenth centuries in their original location. Absolutely worth visiting! In the late 1800's the passionate collector Fritz Mayer van den Bergh amassed an amazing art collection. He purchased paintings by Peter Brueghel for a pittance, managed to beat major museums purchasing stunning medieval sculptures. Mayer van den Bergh had an eye for the best quality in almost every genre. After his death his mother finally managed to make her son’s dream come true: she built a museum, which only showcased his collection. And today Museum Mayer van den Bergh hasn’t changed: it is still a museum of one man... and of his mother. Highly recommended in the Great smaller museums of Europe! Between 1873 and 1934 the Red Star Line’s ocean steamers ferried about 2.6 million adventurers and fortune seekers from Antwerp to New York. 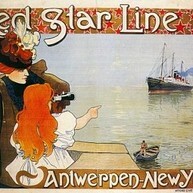 For many people their passage started in the Red Star Line buildings in Antwerp. This museum tells the story of these passengers. The old buildings render their feelings and emotions tangible and visible. This new Antwerp museum also examines the issue of migration today. Step into the shoes of the leading Baroque artist of his era. Rubens and his family lived in this palatial setting for well over 25 years and it is here that the artist created the lion’s share of his work. Here he entertained Europe’s nobility and Royalty and stored his impressive art collection in a beautiful art room. The charming garden, the creators’ workshop and the fabulous collection draws hundreds of thousands of visitors from all over the world. This museum gives an overview of book printing from the 15th until the 18th century and owns the worlds oldest printing press from around 1600. The stately town house also boasts period rooms, decorated with tapestries, gilt leather and paintings – including a Rubens, sculptures, earthenware and porcelain. The Museum Plantin-Moretus/Prints Room received the ultimate recognition in 2005 and was named as a UNESCO world heritage and is the only museum worldwide to have been given this honour. 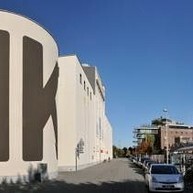 The Museum of Contemporary art or M HKA is located in the bustling Zuid district, among the galleries and the lively cafés. Explore a fascinating collection of modern art in the old, converted corn silo. The museum is currently closed for renovations, on the 27th April it will reopen with new exhibitions in a brand new setting. Near the river Scheldt you find Saint Paul’s Church, the former Dominican church, which was completed in 1639. Masterpieces by artists such as Jordaens, Rubens, Van Balen and Van Dyck emphasise the church’s unique appeal. 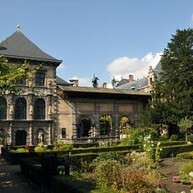 The Antwerp Zoo was founded in 1843. 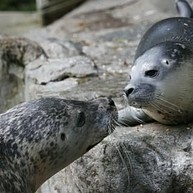 It is one of the oldest zoos worldwide and the oldest in Belgium. About 5.000 animals from 950 species live in the Antwerp Zoo. It also has an amazing garden and all the buildings in the zoo are listed buildings. A visit to the Antwerp Zoo is always a moment of sheer relaxation in the centre of the city. Do you like photos or are you a photographer? Then do visit FoMu. 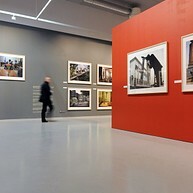 It’s permanent collection shows you the history of photography. During the temporary exhibitions you can take a closer look at the work of Belgian and internationally renowned photographers.